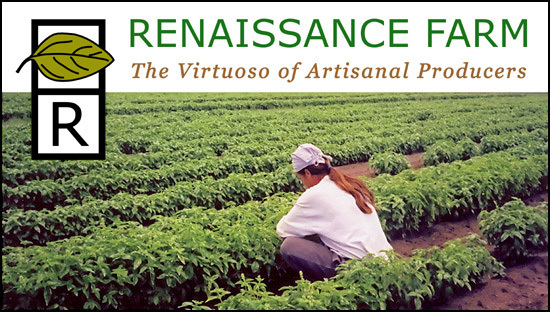 Family-owned since 1985, Renaissance Farm, Inc., is an award-winning artisanal food producer located in Spring Green, Wisconsin. We farm naturally and make herb-based specialty food products that are perennial favorites at the Dane County Farmers' Market in Madison. Our seven varieties of all-natural pesto, herb-infused extra virgin olive oils, super premium pesto vinaigrettes, pasta salad dressings, and Zalta herb-infused sea salts are also available through distribution in the upper Midwest. Our mission is to create, enjoy, and share flavorful and fun food. We believe that with just a few of the right products, everyone can be a chef!